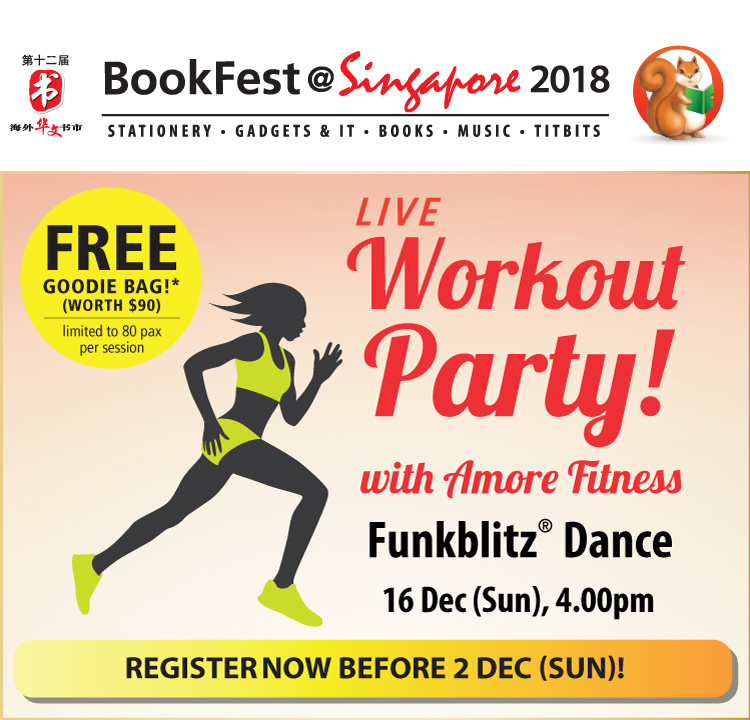 Specially designed to incorporate stylish hip hop, street and funk dance moves into aerobics, FunkBlitz will lead you through a heart-pumping and calorie-burning dance that will slim and tone your body. Trust us, you’ll feel super smooth on the dance floor after the session! Registration does not guarantee participation. Selected participants will be notified via email and/or phone. Goodie bags are limited to 80 pax. - Registration does not guarantee entry to the event. Selected registrants will be notified via email and/or call by 2 December 2018. - Event is opened to public aged 14-60 years old. - Goodies bags will be given at the end of the event to registered participants after each session.